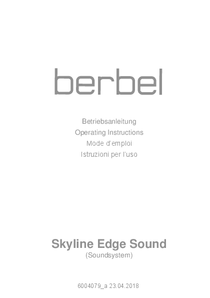 The berbel Skyline Edge Sound provides pure enjoyment for all senses, thanks to its integrated T+A sound system. The users’ noses are spoilt with fresh air, while their ears are spoilt with perfect sound. Ideal for all those who consider and appreciate their kitchen as a living space. 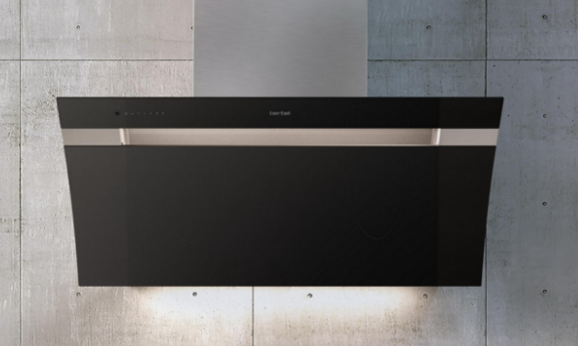 The unparalleled extractor hood with its rich sound was created in cooperation with the German high-end HiFi manufacturer T+A. 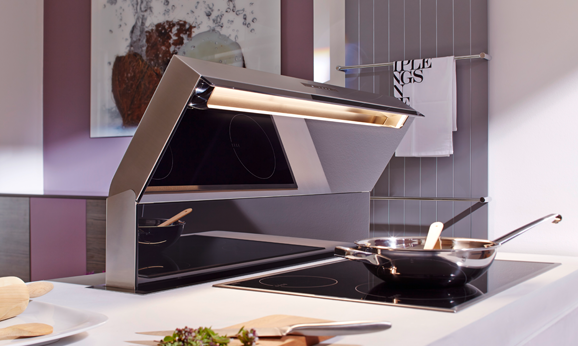 The required technology is concealed by the contemporary design of the Skyline Edge featuring an integrated lift function, as well as LED hob and effect lighting. 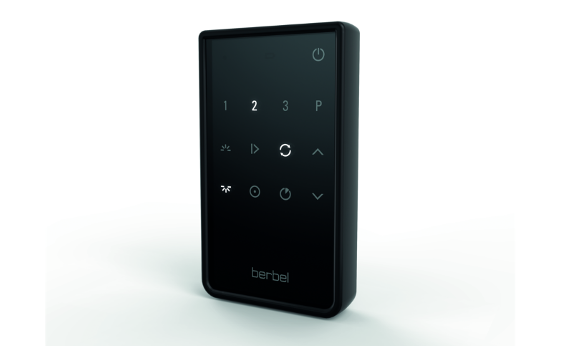 Lasting efficient fat separation is provided by means of the berbel principle – for top-of-the-range air cleaning and musical enjoyment. Winner of the ICONIC AWARD 2018: Innovative Interior. 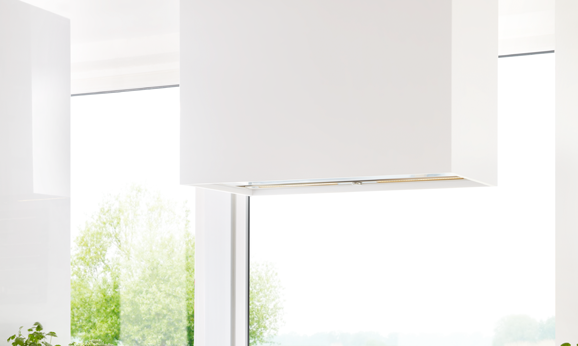 Ceiling connection with black or white glass plate or a glass plate in a colour of your choice. Ceiling connection with glass cover and integrated effect lighting. 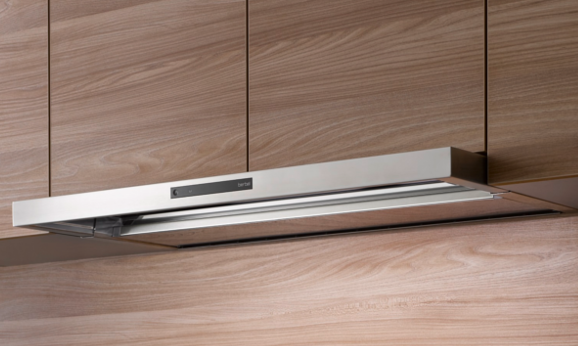 Partial or full retractability of the extractor hood into the ceiling. 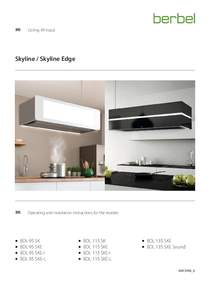 The Skyline Edge Sound is equipped with an integrated sound system from the German high-end audio technology manufacturer: T+A elektroakustik GmbH & Co. KG. 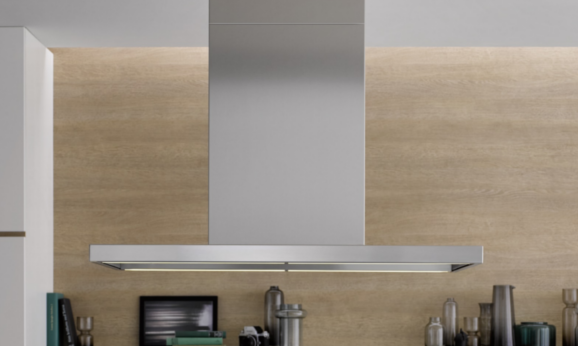 The sophisticated berbel ceiling lift hood comes with all standard features of the Skyline Edge 135, including top vapour capture efficiency and up to 1,200 mm lift function. 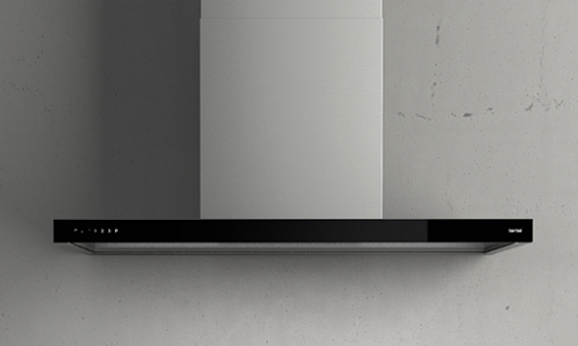 The device features of the sound system are controlled via WiFi using the T+A control app for iOS and Android if a media server is connected, or via a direct Bluetooth connection. 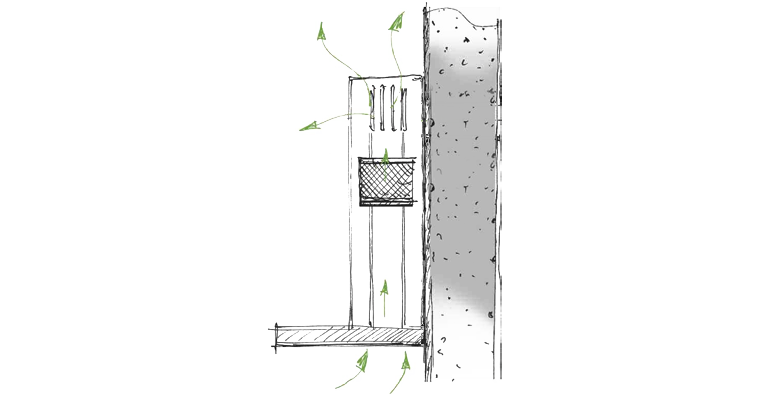 Efficient and lasting high rate of fat separation with the powerful berbel principle in combination with the latest generation of our Capillar Trap. Modern EC fan motor. 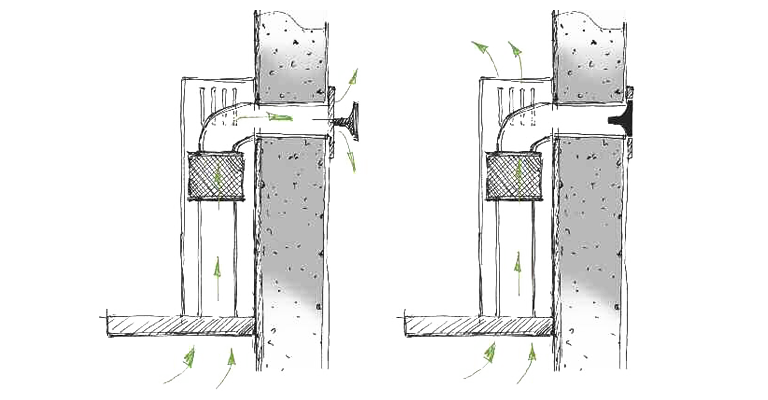 Extremely low-noise and energy-saving. 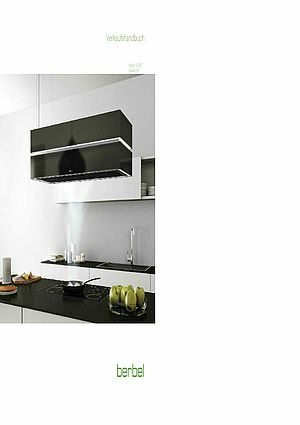 Dazzle-free, long-life LED hob lighting with adjustable colour temperature from 2,700 to 6,500 Kelvin Effect and hob lighting with adjustable light temperature. Controlled opening mechanism with gently sliding hinges, a stainless steel collection tray, and perfectly finished inside for easy and fast cleaning.